"CHIPS: ASIC pioneer reinvents 3-D FPGAs"
ASICs were once the number one choice for ultra-low cost consumer electronic devices, because of their low per unit cost and very small size. Unfortunately, their set-up cost has skyrocketed to $50 million or more. Gate arrays have been the only alternative, but their cost per unit is expensive compared to ASICs per unit cost. Now 3D gate arrays may fill the gap, with a low-cost alternative to ASICs with nearly equal per unit cost and small size. R.C.J. 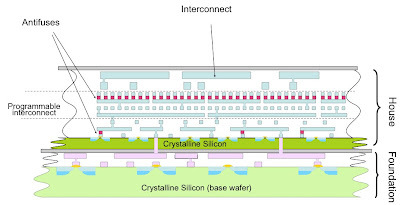 Serial entrepreneur Zvi Or-Bach is touting a three-dimensional field-programmable gate array (FPGA) technology that he claims could achieve the densities of an application specific integrated circuit (ASIC). Or-Bach's new company, NuPGA, uses anti-fuses that start out as an open circuit but can be reprogrammed to create a low-resistance connection when pulsed with a high voltage. 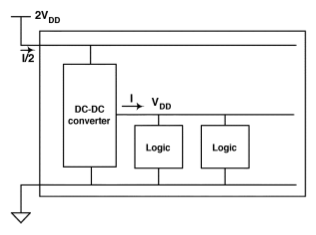 By arranging anti-fuses in a separate layer above logic, they could boost the interconnection density of FPGAs to rival ASICs, according to Or-Bach. The only problem is that the high-voltage programming transistors take up so much room that they negate the density boost. NuPGA claims to have solved that problem by burying the programming transistors in a 3-D "foundation" layer beneath the traditional FPGA circuitry. 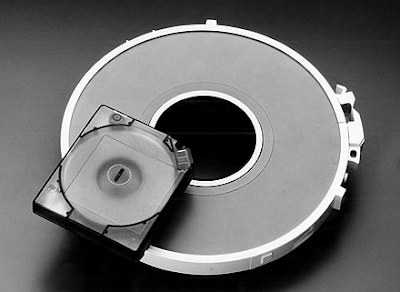 "ALGORITHMS: IBM Brightens Future of Magnetic Tape with World Record"
IBM and Fujifilm's world record in magnetic tape density—nearly 30G bits per square inch—along with lower costs and a greener footprint, could keep magnetic tape alive for another decade. R.C.J. IBM Research and Fujifilm set a new world record in magnetic tape density—nearly 30G bits per square inch—which they say will keep magnetic tape alive for another decade. Magnetic tape might seem old-fashioned, but after a long career it still is a billion-dollar market because it offers higher storage densities, costs less and has a greener footprint, according to IBM Research (Zurich). 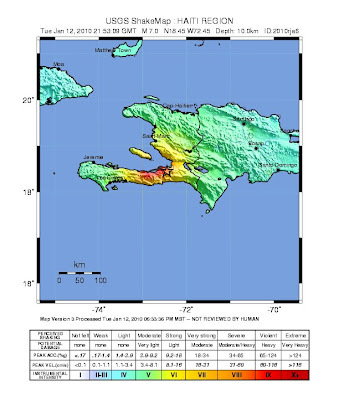 "3D: Smarter Imaging Creates 3D Maps of Haiti Devastation"
Using a 3D imaging system created for the U.S. Forest Service by the Rochester Institute of Technology, a World Bank-funded project is surveying the Haiti earthquake devastation to assist future reconstruction efforts. Look for surveys to routinely use 3D laser range finders in future disasters. R.C.J. With thousands of victims still in the rubble after the devastating earthquake earlier this month, Haiti's priority is still search and rescue, but rebuilding is already being planned. To rebuild Haiti's capital, Port-au-Prince, the first step will be to survey the damage, then estimate what is needed for, and where to start, reconstruction. To aid in that effort, the World Bank has funded a five-day mission to map the damage, detect any remaining fires, show possible chemical spills, and identify surface contamination on lakes and ponds. "MEMS: Gyro targets $115 billion smartphone market"
Gyroscopes are now being integrated into future smartphones, according to Invensene Inc., which claims two major handset vendor design wins for its latest 3-axis gyro—the world first MEMS motion sensor specifically designed for smartphones. Look for MEMS gyroscopes to be added to every major smartphone line in 2010. R.C.J. Micro-electro mechanical system (MEMS) chip maker Invensense (Sunnyvale, Calif.) is already shipping 30 million MEMS chips per month into multiple markets, including remote controls, gaming controllers and image stabilization for digital cameras to customers like Nintendo, Logitech, LG, Fuji, Samsung, Pentax, Tom Tom and numerous smaller original equipment manufacturers in Japan, Korea and Taiwan. Now Invensense wants to crack the smartphone market with a specialized 3-axis gyro that integrates with existing accelerometers from any vendor, to offer 6-axis motion processing to mobile phone users. "ALGORITHMS: Brain Power Boosts Gamers, but Could Also Indict Criminals"
Researchers claim that the best gamers have bigger brains, but that tapping thought power with neurolaw could incriminate suspects against their will. 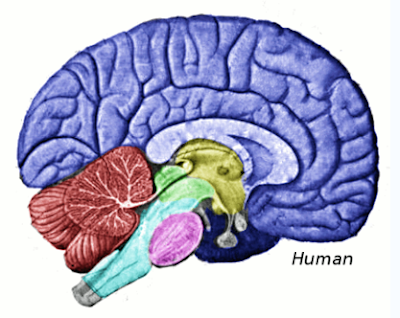 Look for more and more accurate brain scans opening a window on our thoughts and intentions in coming years. R.C.J. 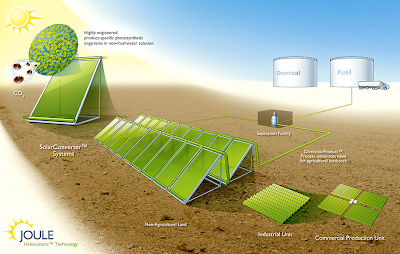 "ENERGY: Genetically Engineered Microorganisms Create Gasoline from Greenhouse Gas"
Joule Biotechnologies claims its solar fuels—produced totally in the United States—will be price-competitive with fossil fuels and could meet the needs of the entire country. Look for biofuel announcements from all the major gasoline vendors by 2012. R.C.J. Ethanol, diesel and the components of gasoline can be produced by genetically engineered microorganisms, according to Joule Biotechnologies, which aims to demonstrate commercial-grade biofuel production by year's end. Joule Biotechnologies claims it can re-create hydrocarbon fuels as easily as they can be refined from crude oil by genetically engineering microorganisms to create them. So far, they have tripled the output of biomass reactors with 6,000 gallons of ethanol (C2H6O) per acre per year. With engineering refinements, Joule expects to be generating 25,000 gallons per acre per year of ethanol and 15,000 gallons per acre per year of diesel—10 times the rate of both biomass-derived ethanol and oil-producing algae biofuels. "CHIPS: Intel, Carnegie Mellon Develop RF-Activated 'Green' Nano-Solder"
A new method for soldering circuit boards not only will be more environmentally friendly, but it will speed up the manufacturing process and improve the integrity of the electrical interconnection. 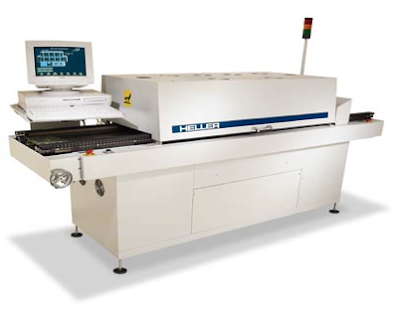 Look for green nano-solder to begin replacing solder reflow equipment within five years. R.C.J. Intel and Carnegie Mellon University have developed tuned magnetic nanoparticles that mix with environmentally friendly solders which can be heated with radio frequency signals, thereby substituting a green room temperature process for the environmentally unfriendly high-temperature solder reflow process used today. CMU received Intel funding for a project "using magnetic nanoparticles in the radio frequency heating, melting and reflow of solder for microelectronics circuits," said Michael McHenry, the CMU professor of materials science and engineering who collaborated on the project with Intel Senior Packaging Materials Engineer Raja Swaminathan. The research group—which included doctoral candidates AshFague Habib and Kelsey Miller and undergraduate student Matt Ondeck—presented its results at this week's Magnetism and Magnetics Materials Conference (Jan. 18-22, 2010, Washington, D.C.). "ENERGY: Power Grid to Get Boost from Wind, Electric Vehicles"
The Department of Energy claims 20 percent of the Eastern Interconnect grid can be powered by renewable, sustainable wind turbines by 2024, while Delaware is moving ahead with a plan to enable electric vehicle owners to charge up at night and then sell electricity back to the grid during the day. Look for smarter grid technologies to proliferate for the foreseeable future. R.C.J. The U.S. power grid will be getting a boost from both renewable wind turbines and electric cars using a new vehicle-to-grid technology. The Department of Energy predicts that 20 percent of the Eastern Interconnect grid can be powered by renewable, sustainable wind turbines by 2024. Separately, Delaware will be the first state to enable electric vehicle owners to charge up at night, then sell the electricity back to the grid during the day (at a profit). "ENERGY: DoE funds energy-efficient chip effort"
Energy efficient multi-core microprocessors require on-chip voltage regulation according to researchers at IBM, Columbia University and Cornell. Look for on-chip voltage regulators in major microprocessors within three years. R.C.J. The U.S. Department of Energy (DoE) has awarded Columbia University $2.8 million in Recovery Act economic stimulus funding to design power converters that efficiently regulate voltage for multi-core processors right on the chip, which could save U.S. data centers billions of kilowatts of energy yearly. IBM Research and Cornell University will also participate in the program to design on-chip voltage regulator modules using advanced magnetic induction methods. "ALGORITHMS: Will Your Mobile Phone Replace Your Wallet?" Electronic wallets (eWallets) may make obsolete both cash and credit cards as banks and mobile network operators prepare to unveil near-field communications (NFC) technologies this year. By this time next year, NFC-enabled smartphones will be widely available to act as eWallets that can make point-of-sale payments worldwide. R.C.J. Electronic wallets (eWallets) may render obsolete both cash and credit cards as banks and mobile network operators prepare to unveil near-field communications (NFC) technologies this year. By this time next year, NFC-enabled smartphones will be widely available to act as eWallets that can make point-of-sale payments worldwide. Electronic wallet capabilities are based on near-field communication (NFC) technologies, which only authorize bank transfers from the user's account to a vendor when performed at the point-of-sale, as opposed to traditional bank transfers which are independent of location. "CHIPS: Superlattices enable small, fast, low-power RRAM"
Resistive random access memories (RRAM) could supercede flash memories in the near future, according to researchers worldwide. Look for alternative nonvolatile memory chip designs from all the major flash memory chip makers over the next few years. R.C.J. 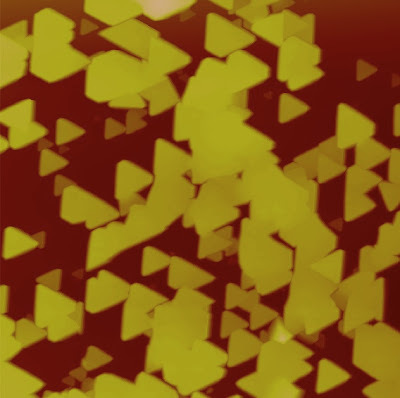 Superlattices may hold the key to commercializing resistive random access memories, according to researchers at the Missouri University of Science and Technology. Using superlattices of magnetite and zinc ferrite, the researchers report are two new materials that they claim may lead to faster, smaller and more energy efficient RRAMs. Superlattices are atomically thin alternating layers of different materials whose resulting semiconducting properties are strikingly different from those of either material alone. After much experimentation, professor Jay Switzer and his colleagues at Missouri S&T report two superlattices, one composed of different formulations of magnetite (an iron oxide) and a second superlattice material using different formulations zinc ferrite, each of which can have their resistance switched from high to low, making them a candidate for the next-generation memory chip known as resistive random access memory (RRAM). "ALGORITHMS: Household Electricity Bill Cut by Cell-Phone-Controlled 'Middleware'"
Fraunhofer Institute for Applied Information Technology (FIT, Sankt Augustin, Germany) proposes "middleware" to monitor and control energy consumption with your mobile phone. Look for smarter middleware to control your household electricity consumption within three years. R.C.J. Green uses of cell-phone technology will be unveiled next month at the GSMA Mobile World Congress (Barcelona, Feb.15-18) which kicks off with a keynote from Google Chairman Eric Schmidt and winds up with a concert by rock band Duran Duran. In between, hundreds of exhibitors will sport cell-phone innovations, including the FIT, which will be showing its green middleware solution for smarter energy consumption. Fraunhofer Institute for Applied Information Technology (FIT, Sankt Augustin, Germany) proposes "middleware" to monitor and control energy consumption with your mobile phone. Look for middleware solutions to proliferate as consumers seek more control over their energy bills. R.C.J. "GADGETS: Readers' Ideas for Leapfrogging Apple's iPhone/Google's Nexus"
Readers have come up with innovative ideas that could redefine the next generation of smartphones. Look for smartphones with features like those listed here by next year. R.C.J. Readers have come up with several innovative ideas for leapfrogging the smartphones out there today. Here we recognize those readers whose ideas could redefine the next generation of smartphones. "SECURITY: Five Ways to Stop Airline Terrorists Before They Board"
When it comes to airport security, U.S. screeners are not at the level of those in Israel, but there are technologies that will help detect terrorists attempting to board airplanes. 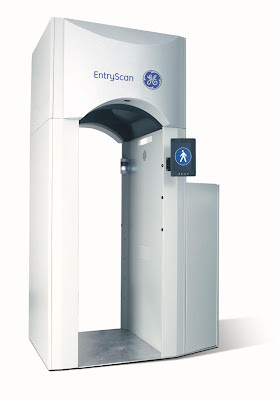 Look for an array of new technologies to be deployed in U.S. airports during 2010. Airline security has already been perfected in Israel, where highly trained screeners have been routinely detecting and preventing terrorists from boarding aircraft for decades. In the United States, however, technology will likely substitute for our lack of qualified screeners. "WIRELESS: Smarter Newspaper E-Reader Folds Up Broadsheet Style"
Ever wonder why all the eReaders look so much alike? NewsFlex says because they are not trying to mimic the paper products they are replacing, like an eNewspaper that can fold up like the real thing. Look for eReaders to begin adopting the form factor of the paper products they are replacing starting in 2010. R.C.J. NewsFlex aims to make printed newspapers obsolete with an e-reader that has the look of a newspaper but cuts down on paper costs and can be updated in real time. 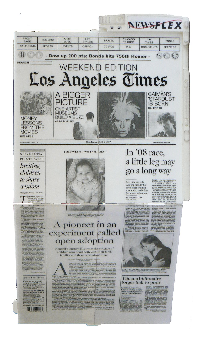 By mimicking the ways a broadsheet newspaper's front page can be folded to make it easier to read, NewsFlex's "green" fold-up display aims to save the trees by obsoleting printed newspapers. NewsFlex is aiming to replace the traditional daily newspaper with a green alternative by next year's Consumer Electronics Show—namely, four bistable electronic displays that fold up the same way that a paper newspaper folds up. "ALGORITHMS: "Google sets stage for political compromise on Chinese censorship"
Unless you have been living under a rock, you know that Chinese cyber attacks on Google's servers has prompted the search giant to threaten to close down its China operations unless Beijing backs off and allows the company to operate an unfiltered search engine. Look for the U.S. government to step in a settle the dispute with a compromise. R.C.J. Google claims that cyber attacks originating in China last month breached its (and 20 other company's) corporate servers to read the e-mail of Chinese human rights advocates. Google's threat to pull the plug on its Chinese operations is commendable, but if you inspect Google's declaration closely, you will find ample elbow room for remaining in the Chinese market, prompting me to predict that the issue will likely be settled through a high-level political compromises as part of ongoing U.S.-Chinese trade talks. 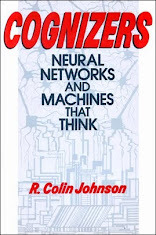 "ALGORITHMS: 2010 Begins the Decade of a Smarter Planet?" IBM's declaration that 2010 begins the decade of the smarter planet sounds self-serving and it is, however IBM's chairman makes some good points and has some valuable insights about the future. 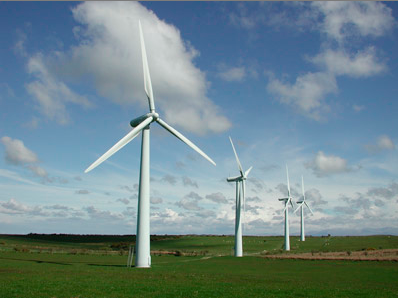 Look for IBM to further invigorate its smart-planet efforts in 2010-2020. R.C.J. 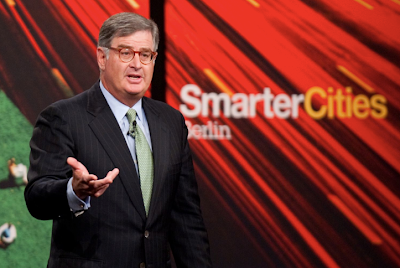 Sam Palmisano, IBM chairman, president and chief executive, claimed that during this decade, smarter technologies will spur sustainable efficient economic growth and development in business, government and society. Speaking at Chatham House in London, Palmisano, cited evidence for how smarter technologies have already improved out lives, and made predictions about how they will continue to do so in the future. Its a good read! 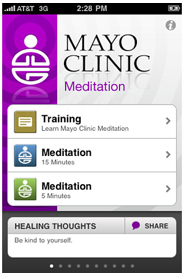 "GADGETS: Mayo Clinic Apps Diagnose Ills and Soothe Mind, Spirit"
Medical advise can be found all over the web, but only sites like Mayo Clinic's instill the same kind of trust you would give to your own doctor. Oftentimes, however, we are not near our computers to log on, so the Mayo Clinic is putting its trusted medical expertise in iPhone apps. Look for the Mayo Clinic to release a flurry of medical apps in 2010--suggest what kind of app you would like to see by clicking ADD-YOUR-COMMENT. R.C.J. A startup spun-off from the legendary Mayo Clinic aims to put a doctor-in-your-pocket that can diagnose ailments as well as align your mind, body and spirit. A joint collaboration between the Mayo Clinic and DoApp is extending the expertise of one of the most respected medical facilities in the world. Called mRemedy (Rochester, N.Y.), the company has already released its first app aimed at soothing the mind and reducing stress, while its second app will focus on your body. Why won't NASA find life on other planets? Because its only looking for telltale signs. What would you recommend that NASA do to detect life on other planets? Lets brainstorm together and try to come up with some approaches that they have not thought of yet. Click the COMMENT link below to give us your opinion. R.C.J. The National Aeronautics and Space Administration (NASA) recently reported three new techniques it is using to detect life on other planets, but unfortunately none will be able to provide unequivocal proof that life exists elsewhere. 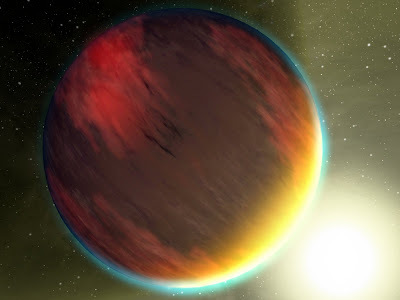 Three recent NASA reports detailed that its Kepler space telescope discovered five new exoplanets (planets outside our solar system), that its Deep Impact mission has been able to recognize sun glints off planetary oceans, and a new experiment for the Sample Analysis at Mars (SAM) instrument which will search for life on Mars in 2012. "QUANTUM: U.S. recovery act funding quantum research facility"
Quantum effects can be subtle to a fault, with nearly any variation in the environment spoiling the experiment, so building an ultra-isolated lab is a good way to spend some economic stimulus funds. 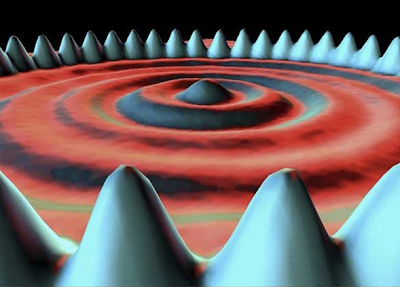 Look for quantum computing breakthroughs in the coming years. R.C.J. A new quantum research laboratory will be built in an underground bunker in Maryland with $10.3 million in economic stimulus funding provided by the U.S. Commerce Department's National Institute of Standards and Technology (NIST). The 21,000-square-foot Laboratory for Advanced Quantum Science is scheduled to open in 2013 and will be built under the University of Maryland's Physical Sciences Complex. It will used by the Joint Quantum Institute, a partnership between the University of Maryland and NIST. The new lab will include sensitive environmental controls to eliminate even the most minute vibrations and changes in temperature that can affect the delicate instruments used to measure quantum effects. Environmental controls will provide ultra-clean air, immunity to all kinds of electromagnetic interference and stable humidity. Work at the lab will focus on quantum cryptography, quantum computing and the design and use of quantum sensors. "WIRELESS: Broadcom, Hillcrest team on wireless motion sensing"
Gesture recognition using an in-air 3D pointer could become the substitute for the traditional remote control, substituting on-screen menus for all those tiny button you need to push today. Look for buttonless remote controls using wireless connections on many consumer products in 2010. R.C.J. Targeting the Internet TV crowd, wireless chip maker Broadcom has formed a joint venture with Hillcrest Labs to make wireless gesture recognition chips. 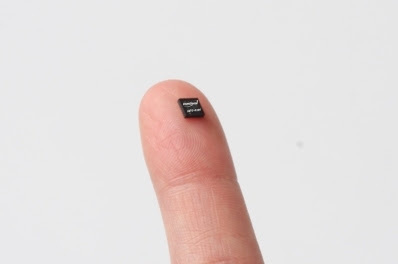 Hillcrest's MEMS-based technology will be integrated with Broadcom's wireless Bluetooth chips. 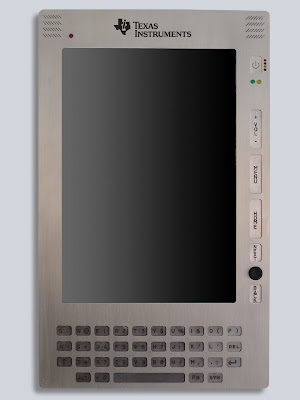 Hillcrest's Freespace motion control and pointing technology, exemplified by its Loop in-air gesture recognition device, earned a Consumer Electronics Show Innovations 2010 Design and Engineering Award. Other companies that have licensed Hillcrest's Freespace technology include Eastman Kodak, Logitech, Universal Electronics and ZillionTV. "WIRELESS: First E-Reader in Space Lands in U.S"
China-based Hanvon brings its e-readers, which were used in space by Chinese astronauts, boasts unique electromagnetic touch technology. 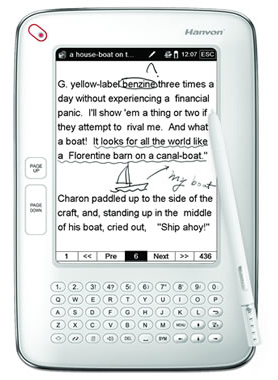 Look for Hanvon e-readers to make a spash in 2010. R.C.J. The first e-reader in space was launched in China but landed in the United States Jan. 7 when Hanwang Technology Co. Ltd. (Hanvon) announced 10 e-book readers designed for the U.S. market at the Consumer Electronics Show in Las Vegas. Hanvon made headlines last year by supplying the first e-reader to be launched into space. Its small 5-inch e-reader was carried by Chinese astronauts into space, where it proved to work in zero gravity. Now Hanvon has brought its e-readers back down to Earth and into the United States by debuting 10 new models at CES. "ALGORITHMS: User-Defined Gestures Make Smarter Use of TouchPad"
That touchpad on your laptop could be a gesture input device with the right software. Look for gesture recognition to start playing an important part of your daily workflow in the very near future. R.C.J. A Scrybe software download for Synaptics' TouchPad enables users and OEMs to define their own gesture workflows. If you have a Synaptics TouchPad, and 70 percent of laptops do—including Sony, Dell, HP, Gateway and Acer laptops—you may want to participate in the free Scrybe beta-testing program by downloading a software upgrade that enables user-defined gestures. Participating in the beta-test program will also allow you to help define the standard capabilities to be delivered to OEMs when the finished product is released. "CHIPS: Texas Instruments seeks to streamline e-book design"
E-books just got easier to design with the help of new semiconductor chips and open-source software from Texas Instruments. Using the same E-Ink display as other eBooks, TI's chips set cuts costs and shrinks size. Look for all major vendors to consider switching to TI's chip set in 2010. R.C.J. Texas Instruments has developed custom silicon and software intended to streamline the design process for e-books using the same E-Ink display--the same display used Amazon's Kindle, Barnes and Noble's Nook, Spring Design's Alex and Hearst's Skiff, original equipment manufacturers (OEMs) choosing TI's chip set and software can lengthen the battery lifetime of their e-books by 50 percent while shrinking the footprint by eliminating 40 discrete components. 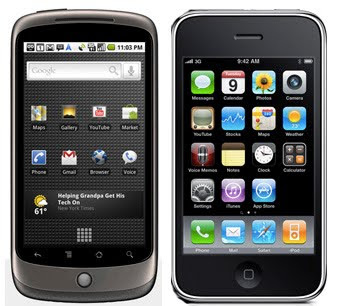 "WIRELESS: Six Technologies That Could Leap-Frog Apple's iPhone"
Nexus One from Google is just another iPhone clone, even though it does have some cool software and is open source. If we put our heads together we should be able to come up with some better ideas ourselves! Here are six ideas I came up with in a single afternoon--can you think of some more? Add your voice to the discussion by clicking the link for "Comments" below. R.C.J. The Google Nexus One lacks the features needed to make that jump, so here are six innovations that would give a smartphone an edge over all competitors, including the iPhone. Yesterday's ho-hum Google Nexus One announcement was nothing more that yet another iPhone clone (with the exception of a small trackball.) Here are six ways to make a smarter phone that leapfrogs the iPhone with genuine innovations that would not be just another me-too. Check out my six ideas by clicking "full-text" and add your own ideas to the mix by clicking "comment." 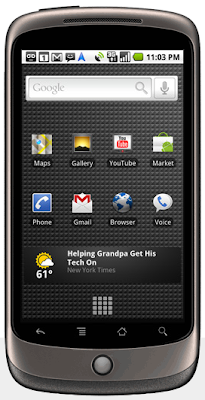 "WIRELESS: Google's 'Nexus One' phone debuts"
Google has finally introduced its entry into the hardware market with its Nexus One wireless telephone. 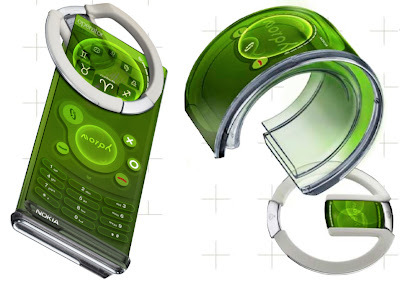 Sadly it seems to be yet another iPhone clone (with the exception of a small trackball.) With all the billions of dollars pumping into Google, you would think that they could identify technologies that people want that are NOT in the iPhone, such as integral gyroscopes, pico-projectors, in-air gesture recognition, an unfolding three-pane display, and those are items I just thought of off the top of my head! Look for all the major phone vendors, including Google, to continue to chase the iPhone in 2010--merely playing catch-up ball instead of truly innovating. R.C.J. "CHIPS: Report: Intel to launch 32-nm MPUs at CES"
Intel will demonstrate its wide lead in moving to 32-nanometer processor technology at the Consumer Electronics Show (CES) this week by announcing more than a dozen new multi-core microprocessors for both laptop and desktop computers. 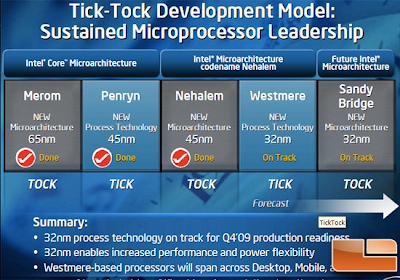 Look for Intel to widen its lead in process technology in 2010. R.C.J. Intel Corp. plans to unveil more than a dozen 32-nanometer "Westmere" processors—including those code-named "Clarksdale" for desktops PCs and "Arrandale" for laptops—later this week at the Consumer Electronics Show (CES), according to a report by The Inquirer, a London-based IT news site. The announcement is set to precede Intel President and CEO Paul Otellini's keynote speech at CES, scheduled for Thursday (Jan. 7), according to reports. The new Core i3, i5 and i7 chips will include new peripherals on-chip, including graphics processors and hyper-threading capabilities. Some of the high-end processors will also include Intel's new Turbo Boost capability that allows one core to be overclocked for short periods to provide a burst of speed for short periods before being throttled back to prevent overheating. "AlGORITHMS: Big Sheets Smarter Spreadsheet Handles Web-Sized Analysis"
IBM's Big Sheets addresses the question of how enterprises can analyze massive amounts of data using user-friendly, Web-based, visualization and analytic tools. Look for Big Sheets and similar analytic tools to become widespread, especially among the clouds. R.C.J. Everybody today, from C-class business professionals to editors like myself, have become accustomed to trolling the enormous database represented by the World Wide Web. 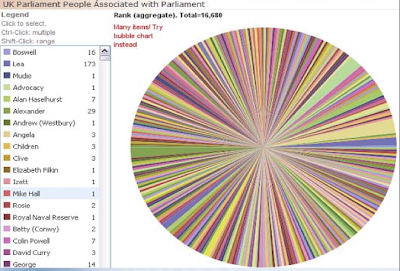 Unfortunately, our automated analysis tools, such as the venerable spreadsheet, are still in the pre-Web development stage where databases could fit on our desktop computers. To remedy, IBM assembled its jStart team to harness the power of parallel processing to digest gigantic databases and make them accessible and usable with a simple Web-based browser tool that resembles old-school tools such as the spreadsheet. "3D: Six Favorable Signs for 3D Craze and Three Warnings It Will Fail (Again)"
Will this be the year 3D becomes more than just a fad? The obstacles are lack of content, high price of systems, the funky glasses and reports of nausea from viewers, but when it works its just so cool. Look for 2010 to be the make or break year for 3D (again). R.C.J. While there are signs that 3D is indeed here to stay, there are also warning signs that should not be overlooked. 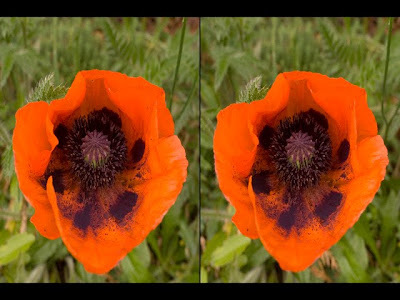 Stereoscopic 3D crazes have already come and gone (twice). Will 3D have the momentum this time to gain long-term popularity? Here are six favorable signs that this time 3D is here to stay, and three warning signs it may fail (again). "WIRELESS: Freescale reference design fits between smartphones, netbooks"
Freescale Semiconductor will show a reference design for a new computer design that combines the features of a netbook and a smartphone, without the phone. Look for Freescale's smartbook at the Consumer Electronics Show (CES) later this week. R.C.J. Freescale claims its "smartbook" reference design supports applications ike social media, high-quality audio and video playback and gaming, according to Glen Burchers, director of global consumer marketing. 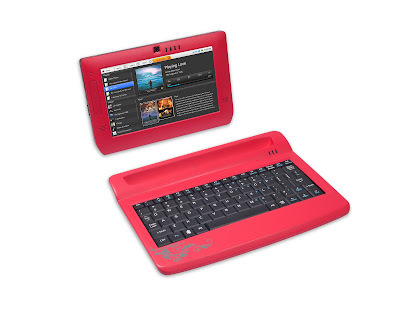 The Freescale design uses a 7-inch touchscreen that is said to provide four times the viewing area of a typical smartphone, but in a form factor that is one-third the size of a netbook. The device, which can run either Android and Linux operating systems, is expected to sell for about $200.